Welcome, Baby Sophie! - Joyful Toddlers! Hello Joyful Readers– Have you wondered where I’ve been for the past several months? Why I haven’t been writing new blog posts? Well, it’s because I’ve been busy having a baby! My husband and I welcomed Sophia Brandywyne Collins into our lives on January 13th, 2014, weighing 7lbs 7oz. The birth was intense, relatively fast, and completely amazing. And having a newborn has been pretty much the same, minus the “relatively fast” part. 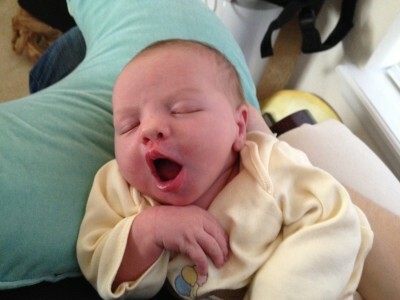 Here is a photo of her at five days old, mouth open wide and ready to eat. I’m just so grateful that she agreed to stay inside my belly until my dissertation was finished –and even gave me a full seven days afterward to recover! Grateful because I’ve been amazed at how my focus has tightened, and tightened, and tightened even more until the world seems to be the size of our house. My husband comes home and tells me things that are going on outside our doors: in the world, in our country, even with co-workers, and it all seems much less important than whether Sophie is starting to settle into a routine of regular morning naps, or has perhaps smiled purposefully. But now that she is almost two months old, I’m starting to emerge again, just enough to START thinking about writing my next blog post, setting the dates for my next class, and generally interact with the world beyond my front door. 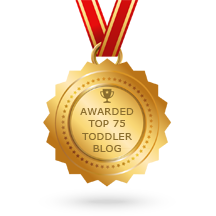 Thanks to you all for hanging in there with me, and keep your eyes on the Joyful Toddlers blog for new posts in the coming weeks. Congratulations!!! Thank you so much for your blog! I have been struggling with my three year old twin boys a lot lately and am constantly turning to your blog for help! 🙂 We only recently discovered Waldorf and this whole style of life and are loving it! But it has also been a challenge! Congratulations again on your little lady! I look forward to your posts! Kendra, So glad you found it, and that it’s a resource for you. Hooray! Maybe I will go read the ‘about’ section of the website now! Looking forward to many more helpful posts!! So lovely to see the picture. Hope you’re all well and congratulations again. Looking forward to more updates! Thank you, everyone, for your kind comments and well-wishes! We are doing great–Sophie slept for seven hours straight last night! Woohoo!